Construction of industrial building. 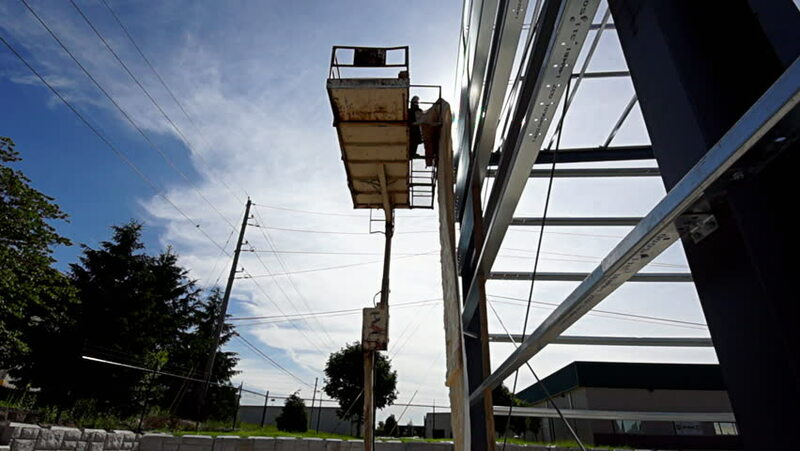 Men working with heavy equipment and safety gear on scissor lift installing insulation to the steel frames of the building and concrete floor. Wide angle lens. hd00:05Lisse The Netherlands April 2018 Keukenhof Show Gardens. Windmill.